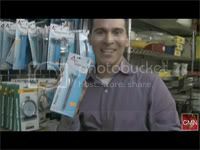 Chef Mark shares a few quick tips on choosing the right thermometer for your fridge, freezer and for measuring the temperature of your foods. This is the second of a series of quick kitchen and shopping tips from ReMARKable Palate. 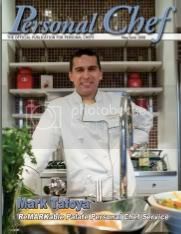 Mark C. Tafoya is a personal chef in New York City. He is also a world traveler and self-taught gourmand. He is a graduate of Yale University, worked as an actor for 10 years, both On and Off Broadway, and in independent films. His love of travel and food has taken him around the world. He hopes to share his love of world cuisine with you! Two-time winner of the Marketer of the Year Award (2006 & 2008) from the United States Personal Chef Association! Chef Mark was Founding President of the NY Metro Chapter of the USPCA. ReMARKable Palate: A Food blog & Podcast from New York City Personal Chef Mark Tafoya is powered by WordPress. Site designed by Jennifer Iannolo. Adapted from theme designed by Joni.